Once a humble suburban strip on the edge of the city, Annerley now boasts a new generation of fans of its narrow, shady streets and charater-filled homes. 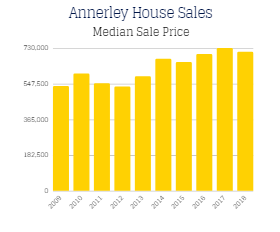 Formerly characterised by by ramshackle house on rambling streets, Annerley has come alive with an influx of families seeking out colonial, Queenslander and post-war homes, and professionals looking to live comfortably, close to the city. 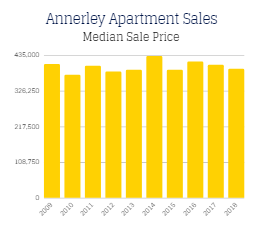 Close to the city (but not the chaos), Annerley is relatively compact and filled with character. Op-shops still have a home here, but they’re now filled with vintage hunters, not bargain hunters. Restaurants and coffee shops have replaced greasy spoons and takeaways.Regular farmer’s markets are held in the nearby Boggo Road precinct, but many backyards have enough room for a small vegie patch of your own. Metrocity Realty is a boutique sales and property management real estate company specialising in Brisbane Real Estate. Above all else, we value our clients and work hard to ensure a smooth real estate experience for each and every one we deal with. Metrocity has maintained its dominant market share for the last 17 years through striving to deal professionally and with integrity. We can’t wait to show you what we can do for you. It is nice to see that house sales prices appear to have been stabilised at $704,500. 146 houses were reported as sold in 2017-2018 financial year, which is a great sign that the suburb is in high demand. Of those sales 14 houses were sold for more than $1 Million. Demand for houses in the area is high and growing, as the close proximity to the city, and access to quality schools in the area is attractive to young families. Due to these reasons, we predict that the remainder of the year will see median house prices maintaining their current stabilised position. Apartment prices also appear to be correcting, as is the case in surrounding suburbs, with the median sale price sitting at the $385,000 mark. It is a great relief that development of new projects in surrounding suburbs have not significantly impacted this suburb, and hopefully we ca look forward to another quarter of apartment prices at this level. Buyers looking to live in the area are usually young professional couples, looking for one of Brisbane’s best locations with plenty of entertainment options, whilst investors can look forward to earning some great rental returns and future long term growth. After a period of stagnation, the rental market has begun to show signs of improvement over the past 18 months. Median rental prices look to have stabilized at $460 for house and $340 for units, which may reflect a slowdown in new developments both in the suburb, and also in surrounding areas. Changes in rental yields for both houses and units have mirrored each other over the past decade, however recently rental yields for units has improved, while houses have remained stable. This may be due to supply and demand factors, or a general cooling of the market. The good news is that median rental prices remain historically strong for both houses and units. When taken with an overall strong demand and low vacancy rates, rental returns look strong for the future. Although tenants are spoiled for choice, it is pleasing that our leasing team is able to rent out our properties quite quickly as we work in closely with our property owners to determine the appropriate market rate to advertise at. I’ve been with Metrocity Realty for more than 15 years and always trusted their knowledge and judgement on all matters to do with my rental property. Metrocity realty statement is very easy to read and understand. They look after our property for two year now. Great people to deal with. 100% follow up with any issues or problems we’ve had in the past.